Somewhere in his ground-breaking book, “The Tuning of the World” R. Murray Schafer wonders aloud why music tends to be an anchor to the familiar, rather than an antenna receiving new exciting information from “out there.” There could by a one-word answer to Schafer’s question: ‘lullaby.’ But instead, let this whole essay be an answer. visual art is “cold,” pop music is “warm,” what is classical music? because of voice, ears, eyes? Still, heat rays are too fast to feel as vibration. The warmth of vibrational frequencies is obvious. Both metaphorical and literal. The spectrum of orgastic vibration makes heat. Vibrating one’s body to keep warm is as rock-bottom as you can get to warmth. Sound begins at the high end of that frequency range. You can get warm by singing. So, harmonic relations probably have warmth encoded within. Quotients (of warmth!) may be measurable. This could lead to a dumb or a very smart critique of serial music (and the “new complexity” type). But not Alban Berg’s, which is why the dumb critique won’t work. Warmth is not just a direct conversion of physical vibration of something bound into temperature of the receiver’s body. The transmitted, culturally determined melodic/harmonic/rhythmic shapes of a certain tradition (pick your culture) stir the emotions somehow (pick your theorist), and warmth results. Even sadness, maybe especially sadness brings warmth. The constant exercise of emotional organs is what it feels like. Emotional aerobics? Music can stimulate emotional aerobics. Let’s consider what I’d call the “Appoggiatura Mime,” (mime, the short-hand formula, mental “radical” around this musical term). Originating in harmonic practice going back to the Renaissance, and flowering through the Baroque and Classic periods, it emerges in the late Romantics and early 20th Century composers, of Wagner, Bruckner, Mahler, Schoenberg as an increasingly intense, complex, and over-arching phenomenon. In this figuration warmth is both acoustic (dissonances rubbing frictionally) and emotional —made up of layers of association with the music that pushes through to the listener with this mime. A more subtle emotional mime might be the sequence: the melodic-harmonic repetition at successive pitch levels. Many, many passages from Vivaldi through Bach’s Brandenburg concertos (his 3rd has a doozy one), on through Bruckner have a way of building excitement through varied repetition that can lead the listener into a kind of emotional response I’d call restrained frenzy—sometimes to tears. The sequence is the basis of my long minimalist symphony, Tunnel Funnel. Warmth generated. The connection of music and mimes is the basis of Herman Hesse’s The Glass Bead Game [Das Glasperlenspiel]. It is the idea that discreet units of culture: music or word-based complexes, visual, mathematical formulae (Hesse is brilliantly vague in describing what these cultural modules are exactly) become the “glass beads” in a chess-like game of friendly competition among the intellectual elite. This is the most seductive use of ideas as palpable serious playthings I’ve ever found. And it contains within it, as the novel shows, an elitism that burns out on its own decadence and self-defeat, told in its last page by the death by drowning of the hero who has become the master of the Game. But if we extrapolate to Minimalism: I once had an imaginary conversation with Tom Johnson (at least I think it never happened, but maybe it did) in which we agreed that minimalist typology could stay implanted in culture as firmly as traditional genres of composition like the canon or fugue or variation procedure. These would be on-going genres as confident of continuance as the high Baroque seemed to be. An aspect of these genres would be their warmth quotient. Not as an evaluative thing, but as one aspect of style. Mahler’s 9th Rules – Even in a Chamber Version! So, it was reduced forces like 2 horns instead of 4, 1 trumpet, 2 clarinets, 1 flute, etc., no lower brass, and strings: 3,3,3,2,1. No harp? It’s impossible without harp to do the 9th! But so cleverly, the piano and yes, that was an accordion, did amazing things to sound like all those missing instruments—the piano as harp was my favorite, but also its “lower brass” explosions were tasty. It was the Argento Chamber Ensemble conducted by Michel Galante. My friend and collaborator, Stephanie Griffin led the viola section and tipped me off to this September 15th New York premiere (of the chamber version)—seems to me it was a first—at the Advent Lutheran Church, Broadway and 93rd where they have a free Monday music series. What didn’t work in the chamber orchestra version was interesting. Not the missing instruments: and especially not-missing were all those piquant solos in Mahler’s full orchestra original, no problemo! No, rather it was the counterpoint—I really mean something more generic even than counterpoint, the counterbalancing of competing rhythmic channels—among the five string groups, especially the upper three. So much information, expressional verve, sheer thrill is in the way these bodies play against and with each other within the generous harmonic framework of the whole. But strings merged as one body all too often, and especially in loud tutti sections. But the symphony as a successful artifact was all there, and wove its amazing web. And we thank Klaus Simon, a theorist commissioned by Universal Edition, Mahler’s publisher, for this brilliant feat. And for Michel Galante’s directing these fabulous musicians. A free concert on the Upper West Side is a dangerous demographic act if you want to attract people as young as these performers were. Yes, dangerous, because it was, movingly, a geriatric crowd with lots of walkers and wheelchairs in the aisles… We love our culture, and many of us, our Mahler! I’m thinking of images of those young string players biting down and into those forte attacks in those crucial places, because expression is a function of the gestures’ placement in music’s time experience, and in feeling’s time. I loved the lilting regularity of the opening Andante, first movement. I once touted this quality of the piece to Ann as being the perfect long, long theme for “meditative walking” (yes: the meaning of the best andantes for me is meditative walking). But when I took her to a full orchestra performance, the conductor made so many stretchings, speedups and slowdowns of these opening bars and pages, that I had to look at her helpslessly and say, oh: I guess not. Anyway, Michel Galante understood the movement’s beginning in the right way for me. The unfolding of the long, long theme and its varied repetitions was hypnotic because of the regularity, and much more cumulatively affecting than those other ways of doing it. Only the viciously contrapuntal Rondo Burleske third movement didn’t work that well. The fast clip meant that the final stretto section had to be too fast to hear much detail, becoming an exciting mess of sound, only, instead of a hilariously thrilling combining of all the ideas at once in a headlong race to the end. Another review on the two new pieces by young composers influenced by Mahler’s 9th will come in another thumb nail review.. Please visit New World Records’ website for further details (Click Here). The following text is from New World Records’ Album Details section and should be referenced accordingly. 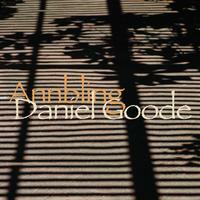 Daniel Goode (b. 1936) is a fan of (in his own words) “minimalist thinking and process thinking,” the “long form,” and “the trance effect that repetition brings about.” Comprising solo, chamber, and orchestral works, these four pieces span his career as a composer. The earliest, the Sonata for Clarinet and Piano (1959-60), reflects his early interests and influences. Using the harmonically enhanced vocabulary of neoclassicism, the Sonata is a fast-slow-fast, three-movement tour-de-force similar in many ways to “the neoclassic sweetness and pizzazz” of Poulenc’s three-movement clarinet sonata composed two years later. Mr. Goode later learned circular breathing and developed his own approach to minimalism and “process music.” Goode’s Circular Thoughts (1974) for solo clarinet is among the earliest minimalist scores to be published by a major publisher (Theodore Presser Co.). This twenty-minute guided improvisation is also a process piece with specific scales and suggestions about tempo, articulations, timbre, and dynamics. Representing both the ideas of gradual process and resultant patterns commonly associated with the music of Steve Reich, Circular Thoughts highlights the trance-like quality of relentlessly repeating melodic patterns and cyclic ostinatos. Ländler Land (1999–2000) is subtitled “a waltz for concert performance and dancing for three cellos and two pianos.” Goode started Ländler Land while living briefly in Vienna, and it was influenced by a 1993 film called Latcho Drom about the music of the Roma people. Annbling (2006, rev. 2007), was composed for the Flexible Orchestra, a new concept in orchestral sound designed by Mr. Goode in 2004. Annbling is a trombone-dominated contemplation of Mahler’s Seventh Symphony, Bach’s Brandenburg Concertos, a Sundanese pop song, and the tragedy of post-Hurricane Katrina New Orleans. The piece opens with a re-orchestrated quotation from the beginning of Mahler’s Seventh Symphony, and ends with a long, sensuous rendition of a West Javanese popular song, “Tonggeret,” which Mr. Goode found on a commercial cassette of dance music while in Java in 1996. Looking down from my magnificent box seat (thank you, cousin Martin), straight ahead at the Met Orchestra under James Levine in Carnegie Hall this afternoon playing the 80-minute Mahler Seventh Symphony—I saw so many bald and grey heads, and hardly a youngin’. Could it be the prices (my seat was $142)? Could it be ignorance? Or all of the above. This orchestra is wonderful. The playing was thrilling, oh I wanted a slower beginning, but so what, it was gorgeous, warm, brilliantly together. Why wouldn’t the younger generations be thrilled at the sound, the drama, the pazazz of this invention of European origins with so many hundreds of versions throughout the world? Tell me! before I cry in despair. Brought up on the “Three B’s” (Wagner substituted Bruckner for Brahms, the dumbkoff), I never heard a note of Mahler until I was in my 20s. I still try to understand why it worms its way into me. It’s something about the statement and the commentary being almost simultaneous because the orchestra is such a fabulous monster, so big, so various, it can do both at the same time. So a “one-liner” which is where Mahler starts, becomes in a few seconds, a multi-liner, and your breath is taken away. (This ignores the accumulations of form, the travel, the experience of being on a journey…just as important.) But it starts with the phenomenon that feeling is transmitted when he tells you why this theme, this chordal passage, this rhythm turns him on: by making the orchestra say it in many varied voices, right from square one—to the very end. It’s anti-classical in that sense. The classics just lay it out, and let you take it or leave it. Mahler is not of that ilk. 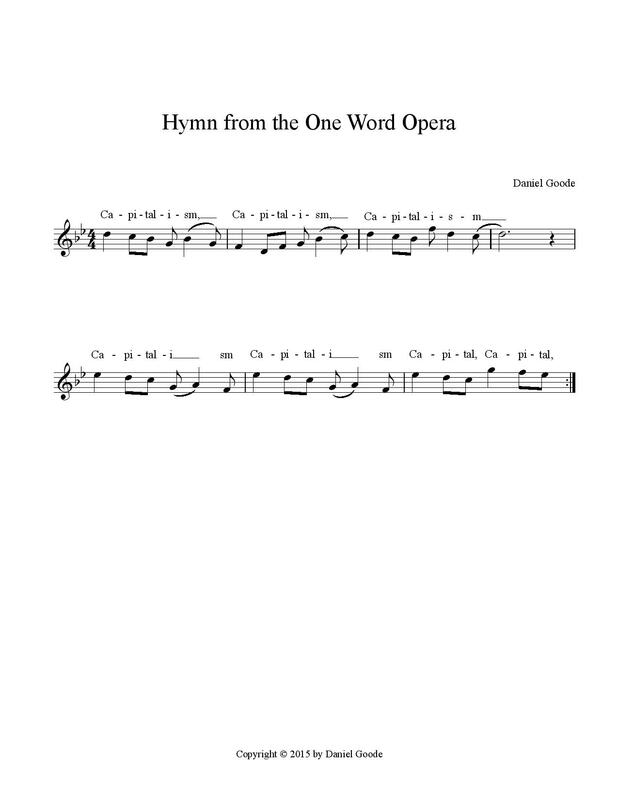 He can’t let you go home without telling you, showing you, why you should be moved by this scrap, or that, this odd piece of tune, chorale of chords, this walking or marching or dancing rhythm. Then he connects the dots and you have a symphony. It works. Hats off to the Met Orchestra for bringing this out.